Having an effortless hairstyle takes time to create. Although it is a little odd to think that curating a natural look doesn't come easy. With the times ever changing, the trends have now shifted to a more relaxed, uncomplicated style and hence when I lopped off a huge lock of my hair, the go to that I was striving for was to make my strands as easy to manage that would be suitable to all occasions. Now there have been many approaches to different type of styles and while it is great to follow up with these fads, home care is certainly one that you should prioritise the most. After all, beauty at the end of the day comes from its core and thus to have shiny and smooth ends, you would need to focus on the scalp for that creates the balance between natural oil production and growth, hence will then give your strands a voluminous and shiny finish. 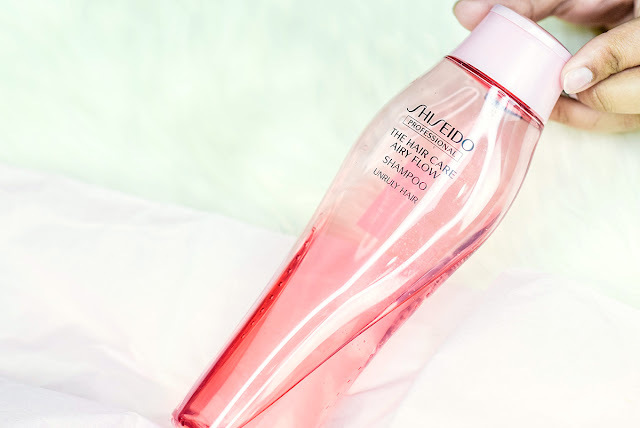 Hence with that being said, let us talk about this new range from Shiseido Professional. Now this one is called Airy Flow and the collection consists of 4 products a Shampoo, Treatment, Intensive Effector and Refiner. The entire line promotes the softness of the hair and enhances the resilience of the strands, easily achieving hair as light as air which hence moves freely and naturally. Cleanses with a rich lather that softens the hair's stiffness and coarseness. 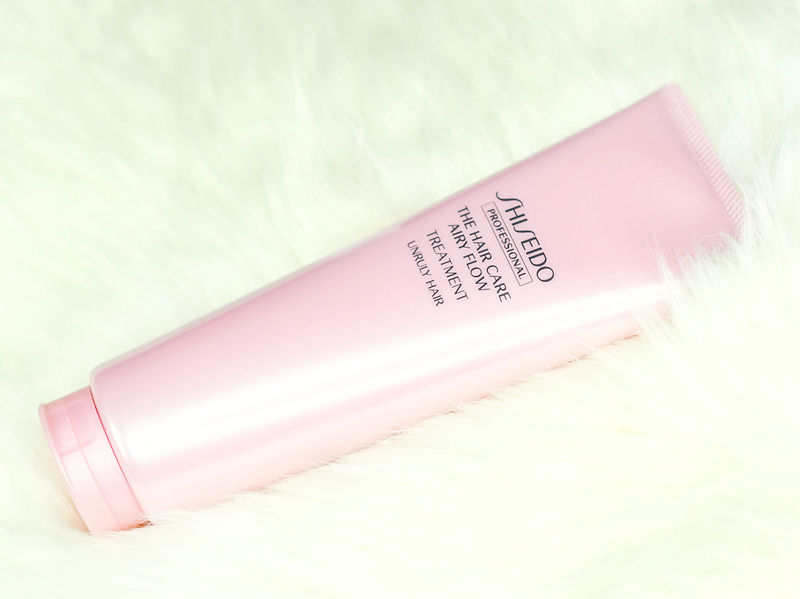 Use on wet and work it into the entire hair. 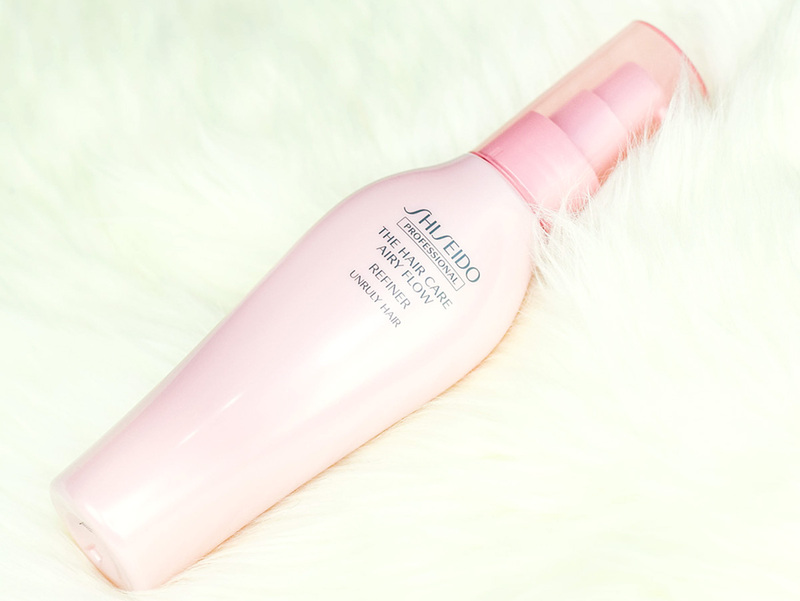 Gives the hair a soft, airy texture with its rich formula. Work it into the entire hair and rinse thoroughly. To be used once a week to replenish the hair's core with softening ingredients. Leave in on entire hair for 3-5 minutes, then apply a layer of Treatment on top of it and work well into the hair. Rinse it off thoroughly. Protects the hair from harmful aggressors, making the hair silky smooth and soft to the touch. 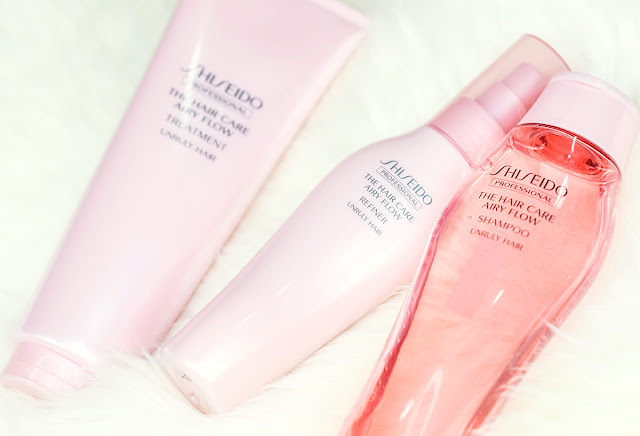 Can be used on wet or dry hair. Best used after towel drying with the appropriate amount worked into the entire hair. Now the duration for this combination of four would be about 15-25 minutes and once achieving instantly soft, and airy texture, your strands will thus be more manageable to be easily styled. Personally I really enjoyed using the range because it made my strands more softer and smoother, plus with its light fragrance of blooming flowers like the rose, magnolia, jasmine and iris, it is certainly a fruity combination that takes the hair experience to the next level. 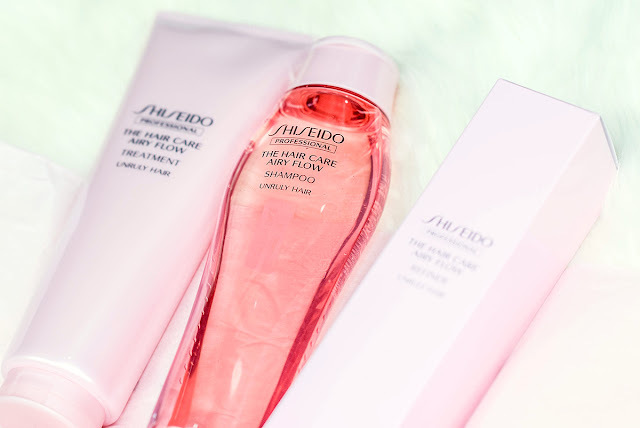 Hence if you would like to know more about the range, you can check out Shiseido Professional on their Official Website but in the meantime, you can also look out for their updates on their Official Facebook Page as well.